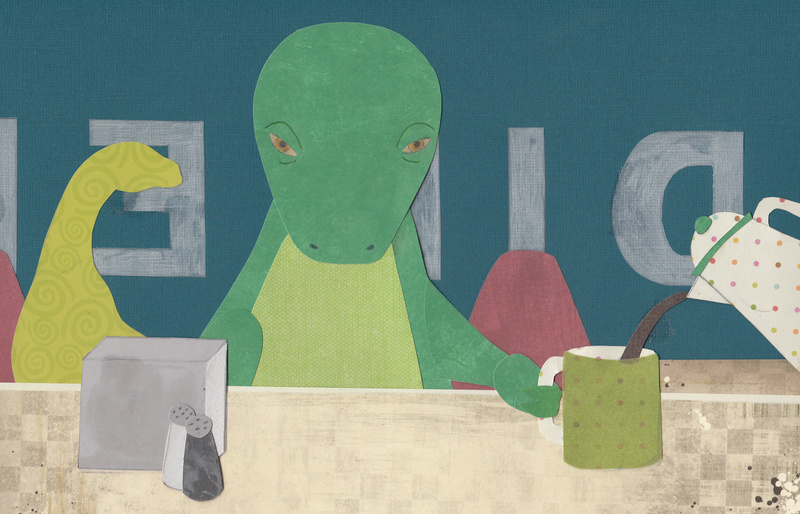 The remedy for a sleepy dinosaur is a cup of hot, fresh coffee! I am drinking coffee as I look though your work and I like what I see! He really looks sleepy. Well done. Btw I need that remedy too!! This looks just like me each morning! I love your colors and the technique you use.